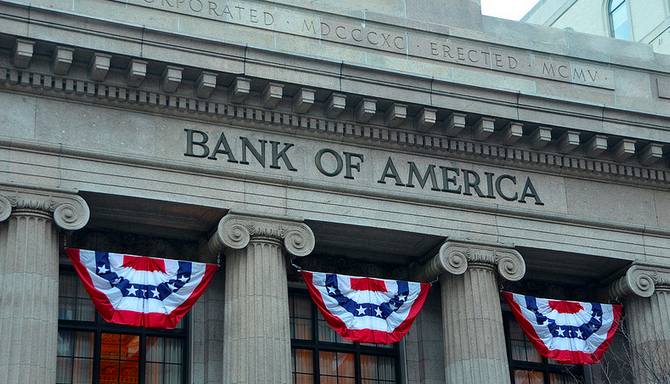 Just days after Chase announced it would install cardess ATMs offering a variety of denominations, Bank of America says it will also jump on the card-free bandwagon. Bank of America is currently developing the new ATMs that will allow customers to withdraw cash or complete other tasks using their cellphones instead of their bank cards, a source close to the company tells CNBC. As with the Chase ATMs, the new cash dispensing machines will also accept payments for BofA credit cards, cash checks, and provide customers with a variety of denominations. A pilot program of the BofA machines will kick off in Sunnyvale, CA, Charlotte, NC, Boston, and New York next month.